Freedom is mine. 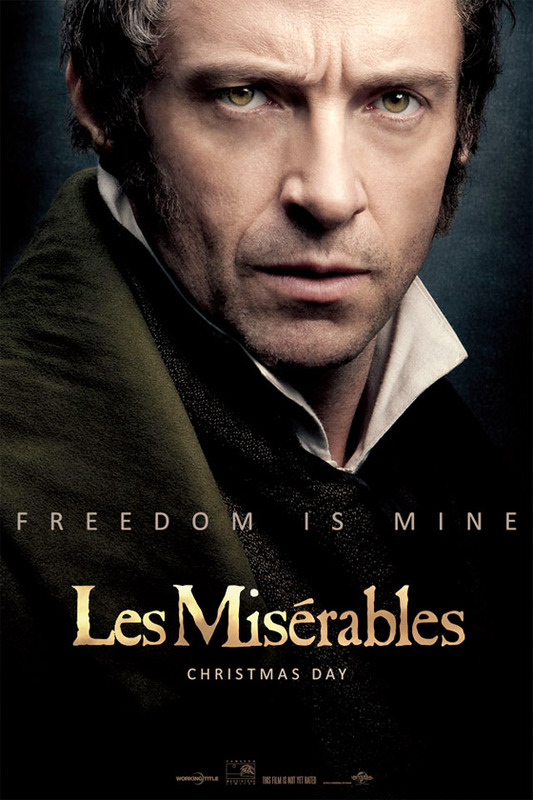 Universal has just unveiled the next character poster (plus a banner via The Daily Blam) for Les Miserables, the top billed actor and true movie star, Hugh Jackman, playing Jean Valjean in Tom Hooper's epic cinematic spectacular. We've seen a trailer and plenty of footage, and at least one official poster for this big, bold new musical, and this is a nice continuation, especially since Jackman seems to be the focus of their marketing. Great tagline, and a nice strong stare - this will be huge. I can't wait to see it myself, it does look wonderful, and this is just another tease to hold us over until Christmas when it arrives. Liam Neeson should come and break this little queebs neck Taken style. Totally captures the Jean Val Jean character. Looking forward to the other principals getting their posters as well.